Workers no longer look at their employers the same way they did 10 – or even five – years ago. Businesses know that their benefits offerings need a certain spice to do more than merely satisfy their workers basic benefits needs. 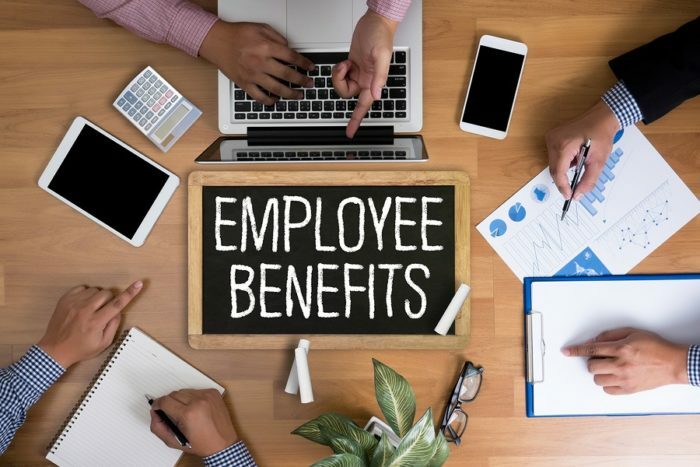 The most talented employees may be tempted to leave for the latest and greatest opportunity, meaning employers should seriously consider their benefits offerings and the role they can play in keeping those exit temptations at bay. Many human resources insiders are beginning to recognize the increasing difficulty of employee retention: A 2018 study found that 85% of HR leaders plan to develop and promote from within rather than look outside their organizations. To accomplish those internal goals, HR managers should be willing to go the extra mile for their employees. And with thousands of businesses out there offering a basic assortment of benefits, those that offer additional flavor to their offerings may better stand out. When benefits come to mind, most peoples’ minds go to health, dental or vision insurance. While valuable to employees, these may no longer fully meet employees’ growing needs. That is why employers are increasingly offering supplemental insurance like critical illness or accident coverage, which gives policyholders cash to help with the expenses health insurance doesn’t cover, like deductibles and co-payments. Value-added services complement supplemental coverage, providing immediate, “Day One” value for employees. Value-added services can help employees in a number of ways. Here are three. Half of employees stressed about their finances spend 3 hours or more per week thinking about or dealing with personal financial issues during working hours; a quarter of those who say they aren’t stressed, do the same. Yet only a third of companies offer any form of one-on-one financial advice, says SHRM. Smart employers can provide advisors who can help ensure employees are making wise financial and legal decisions. Key areas where value-added services can help employees are with retirement planning or writing a will. Additionally, services exist to provide employees with a health advocate who can help answer workers’ questions about medical bills and more. Not only are they convenient, but they are pertinent to the business: One study found that 95% of employers view their financial wellness programs as being effective in reaching company goals. Workers are increasingly turning to personal fitness as an outlet for stress relief. However, the costs of doctor visits or personalized workout plans can sometimes outweigh the benefits. Two value-added services can help employees here: Telemedicine lets employees connect with a doctor wherever they go, while online wellness platforms provide resources that help employees maintain healthy lifestyles. The burden of paying for college – either prior to enrollment or post-graduation – is among the most prevalent stressors in modern American life. In fact, 86% of employees between the ages of 22 and 33 said they would commit to an employer for five years if they helped pay off their student loans. Fortunately, student loan assistance is a value-added service that allows companies to contribute directly to an employee’s student loan, much like they would to a 401(k). And for those employees who are planning for someone’s undergraduate schooling, a college assistance plan can make navigating admissions, financial aid and applications less stressful. But can additional benefits truly impact retention rates? Consider results from the 2018 Aflac WorkForces Report, which found that 55% of employees are at least somewhat likely to take a job with slightly lower pay but a more robust benefits package. So, while the whole world rushes to beef up their benefits, your company can stay in front of the trend by adding value-added services as the cherry on top of existing supplemental coverage. It is not too late for HR managers to acknowledge the growing employee appetite for benefits and the opportunity to bolster their talent acquisition and retention efforts by better seasoning their offerings. By providing your employees with a gourmet assortment of value-added services, businesses could bring just the right kind of sizzle needed to help keep talent in-house.